If you provide payroll services to schools, read on as one of our members has shared some interesting information regarding the apprenticeship levy and the way in which it applies to maintained schools. Thank you to member Jackie Standring for sharing the following information through the Local Authority CIPP SIG (Specialist Interest Group). The Local Government Association (LGA) has received a number of queries in recent weeks about the way in which the Apprenticeship Levy applies to maintained schools. As a result, the LGA finance team has prepared the following information, after discussions with the Department for Education (DfE) and HM Revenue and Customs (HMRC). Please note this information is intended to help local authorities in planning for the Apprenticeship Levy and does not represent definitive guidance. More information is expected to be published by HMRC/DfE, however, no timescale for publication of this information is yet available. a) Community and Voluntary Controlled (VC) schools. In these schools the local authority is the employer and therefore all staff in community/VC schools are added on to the paybill of the council, with the levy equivalent to 0.5% of the overall paybill for the local authority (LA). All community/VC schools paybills will need to be included in the LA’s calculation, regardless of whether the school uses the council for payroll services. b) Voluntary Aided (VA) and Foundation schools. In these schools (as in academies) the governing body is considered to be the employer, rather than the LA. Therefore each VA/foundation school’s liability for the levy will be based on its own paybill. In practice the council is likely to administer the payroll for many VA/foundation schools and the school may not have its own HMRC payroll reference number, separate from the LA. HMRC has stated that only VA/foundation schools with a paybill of over £3 million need to be set up on a new HMRC payroll reference number. Employers who need to set up a new reference number with HMRC will need to do so between 6th February and the end of February 2017. Those VA/foundation schools with paybills under £3 million, with the same payroll reference number as the LA, do not have to split out with a separate payroll reference number. However, local authorities, in reporting the amount of levy due, will need to find a way of excluding the pay of the small VA schools from the calculation of the authority’s liability for the levy. 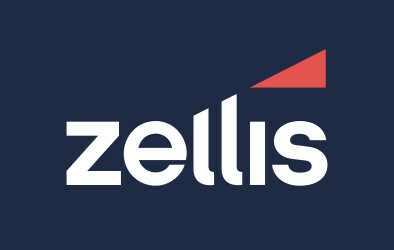 We understand software houses are working on a development to ensure those VA schools with paybills under the threshold that remain on the main council payroll reference number, will be excluded from the levy calculation. Community/VC schools will have to make provision for the relevant cost of the levy in their individual budgets, in the same way as other payroll costs e.g. National Insurance etc. DfE does not intend to allow the Schools Budget to be top-sliced by the council at the LA level for the levy, and the operational guidance for schools revenue funding in 2017-18 does not make any provision for DSG to be topsliced in this way. As a result, all community/VC schools (and VA/foundation schools with payrolls over £3m) will need to ensure they have taken account of this additional cost when they set their budgets for 2017-18. Whilst an authority administering the payroll for a non-maintained schools may actually pay over the levy to HMRC, as part of its payroll admin role, this would have to be funded by the school and the non-maintained school’s payroll would not count in the LA’s calculation of its own liability. Again, if the LA administers the payroll, the LA and the school will need to ensure that the school is set up as a separate employer on HMRC’s systems. Jackie asked if the Policy Team could discuss this information with HMRC, specifically asking whether the requirement with regard to VA schools has been made clear in guidance to 'software houses' and when more information is expected to be published by HMRC/DfE). Jackie’s questions demonstrate perfectly the challenge and queries that will arise when official guidance does not include all issues. 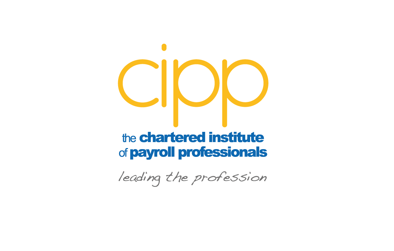 Request has been made to HMRC from CIPP and representatives from all industries within the Payroll Profession. The CIPP Policy Team continue to lobby HMRC for the provision of timely guidance, particularly to Software Developers, who we rely upon so much in our line of work.